At General Distributing Company innovation is our focus, and product improvement never ends. Our research and development team continually seek ways to better meet the diverse needs of our customers. 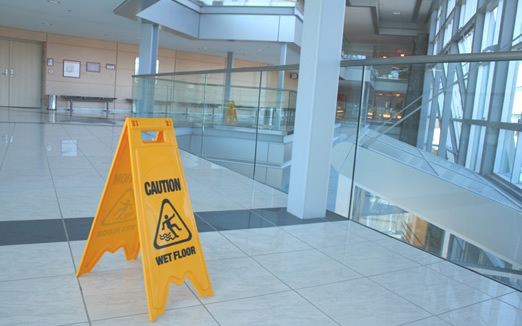 We challenge ourselves to develop the finest and most cost effective janitorial & maintenance chemical products on the market today. Our Atlantic Chemical products are manufactured from the finest ingredients available and tested to rigid professional standards. We unconditionally guarantee our products to perform every time. 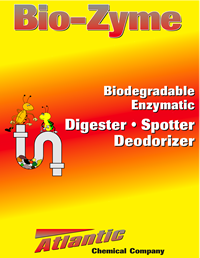 Bio-Zyme contains live microorganisms which have been genetically engineered to eliminate odors and liquify waste. Bio-Zyme is non-corrosive, non-acid, non-alkaline and non-polluting. Ex­cellent for use in drains, traps, septic tanks, restrooms, urinals, on carpets and upholstery and as a laundry prespotter. Prevents the build-up of grease and fat. Can be used as supplied. Labor saving - Cost effective. Call 1-800-655-2187 for more information and to order.